Dyce Old Churchyard contains the ruins of the former Parish Church. 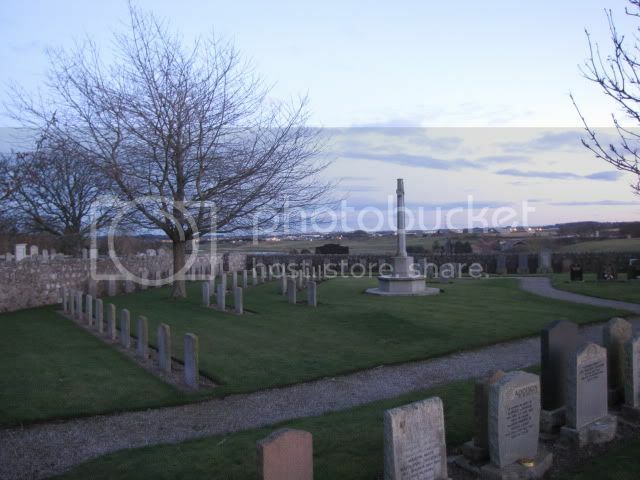 It stands on the right bank of the Don, 2 miles from Dyce railway station and 1 mile from the Parish Church. 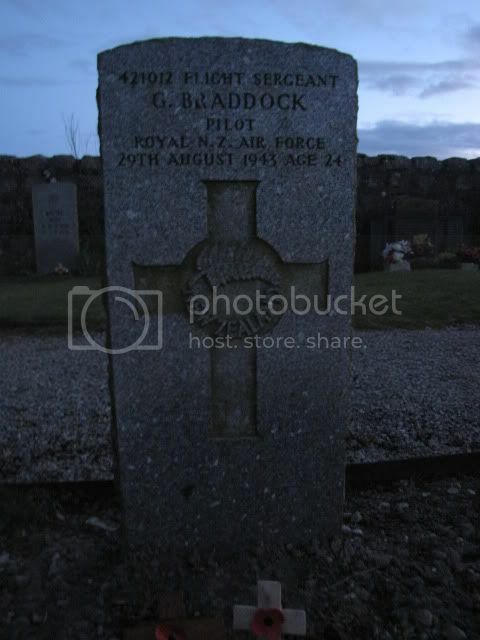 Grave ReferenceRight of main entrance. 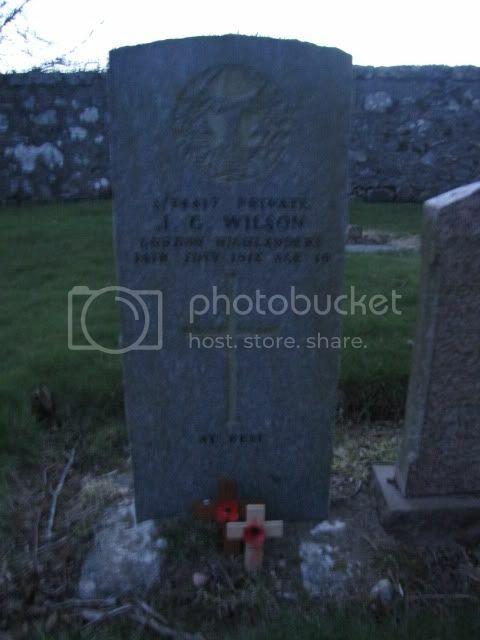 Son of Mary A. Wilson, of Mill of Kemnay, Kemnay, Aberdeenshire, and the late James Wilson. 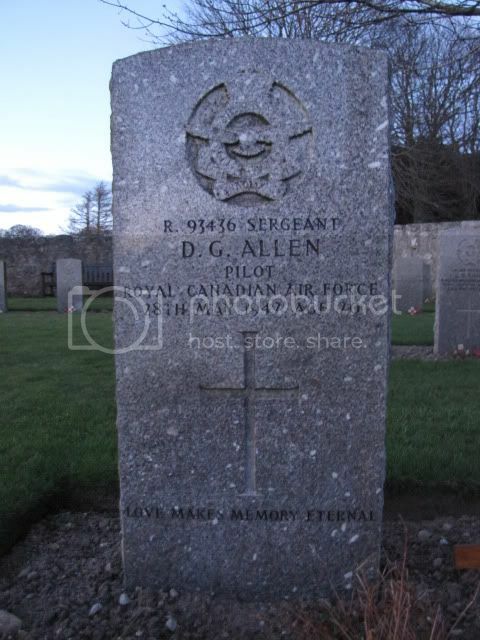 Son of Clarence Victor and Mary Allen, of Toronto, Ontario, Canada; husband of Florance Elizabeth Allen, of Toronto. Son of Jonas Archibald and Lillian Ada Braddock; husband of Vivienne Helen Braddock, of Taupiri, Auckland, New Zealand. 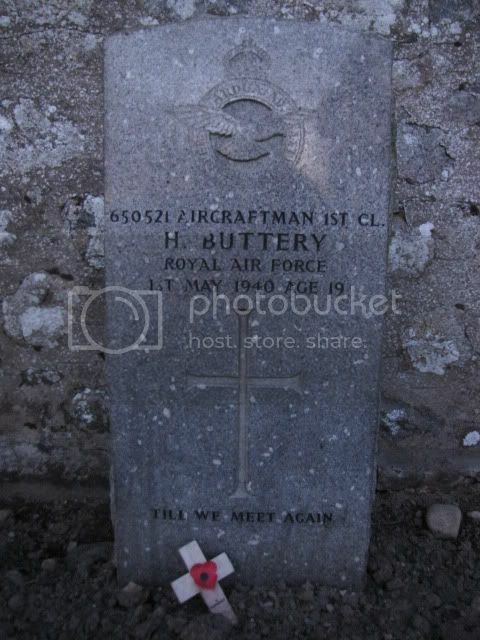 Son of Richard and Mary Ellen Buttery, of Coventry. 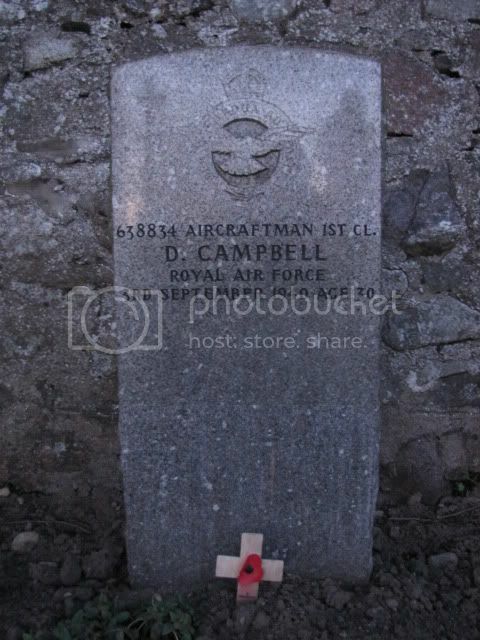 Son of Mr. and Mrs. James W. Campbell, of Glasgow. 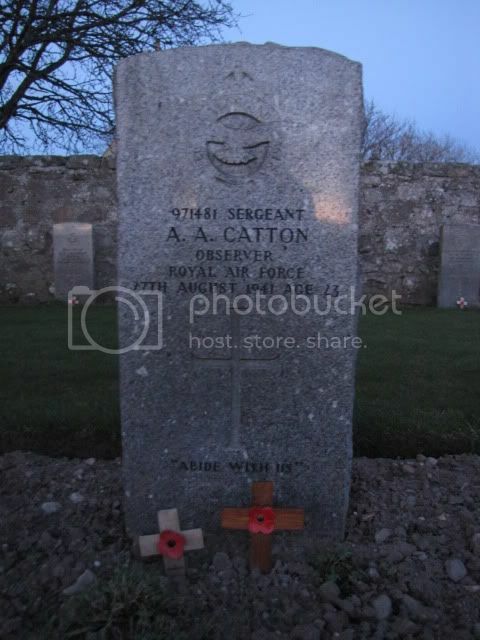 Son of Mr. and Mrs. Harold Catton, of Burnley, Lancashire. 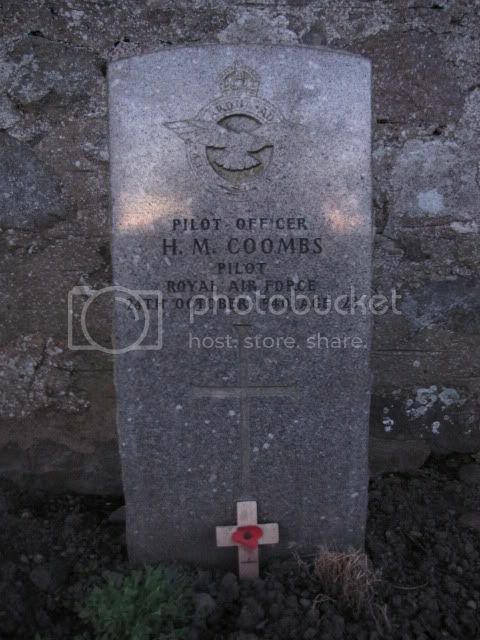 Son of Carey Franklin Coombs, and Nina May Coombs, of Westbury-on-Trym, Bristol. B.Sc. (Bristol). 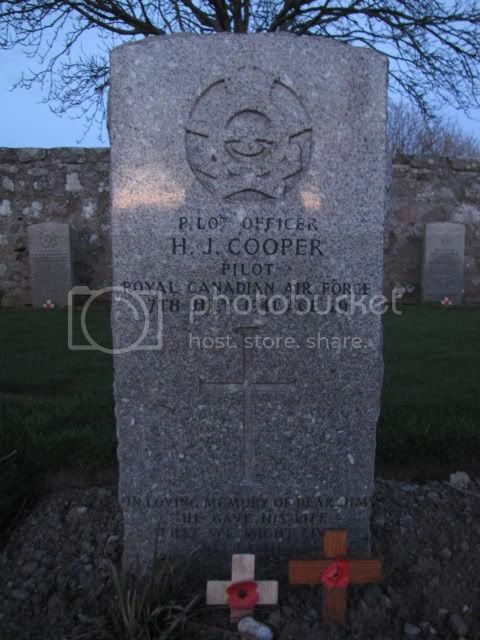 Son of Maude Cooper, of Toronto, Ontario, Canada. 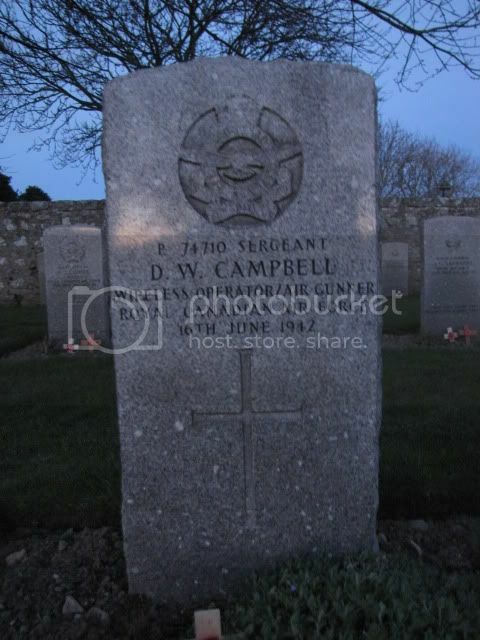 His brother John Donald also died on service. 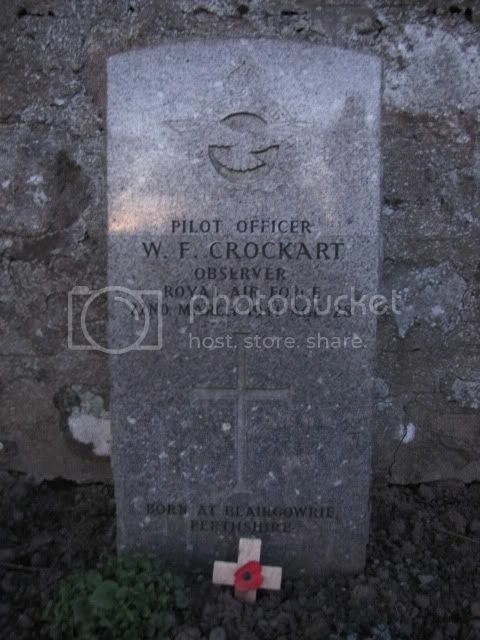 Son of William and Christina Crockart, of Blairgowrie, Perthshire. Grave ReferenceSp. Mem. Grave 16. 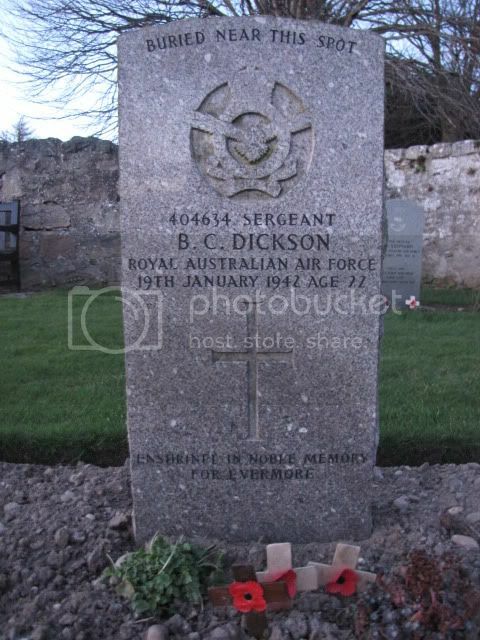 Son of Mervyn and Esther Elizabeth Dickson, of Rockhampton, Queensland. Australia. 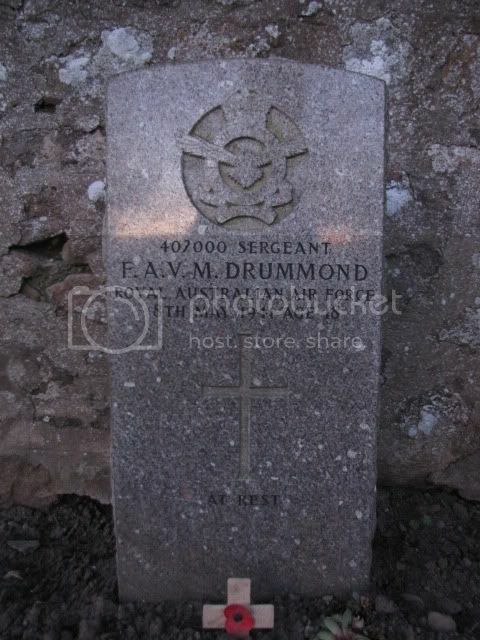 DRUMMOND, FREDERICK AGNEW VANCE M.
Son of Leonard Henry Vance Drummond and Dorothy Josephine May Drummond, of Hamilton East, Waikato, New Zealand. 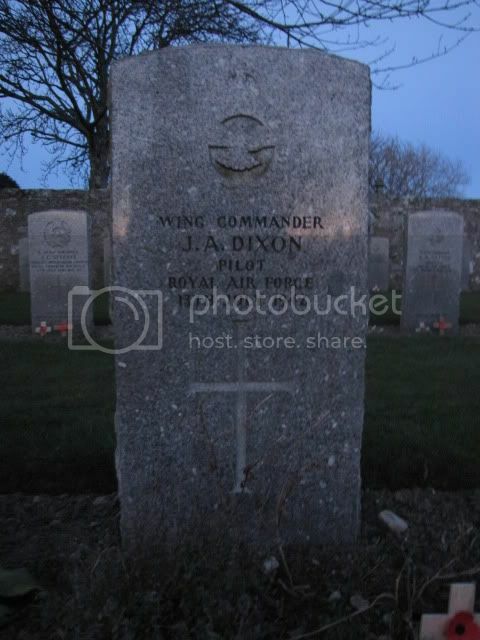 Inscription - Those whom he knew well will remember and cherish him. His memory will keep fresh with the passing of time. 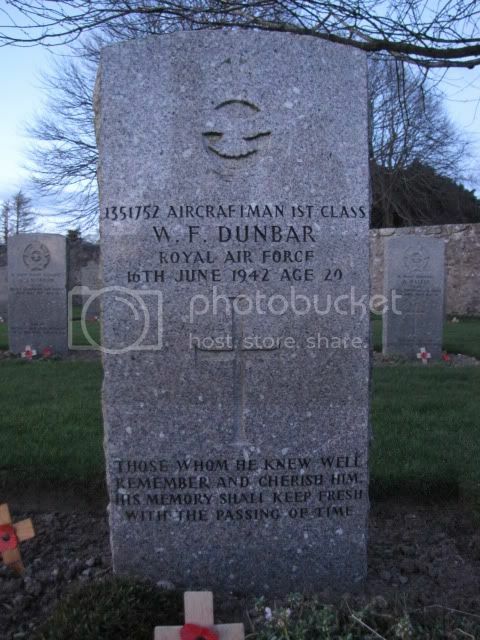 Son of Albert George and Lucy Gladys Dunbar, of Lower Edmonton, Middlesex.